Represented a German fashion manufacturer in multiple parallel proceedings before the German state courts against a distributor revolving around the distribution of clothing in Russia. Represented a minority shareholder in multiple shareholder and corporate disputes regarding the enforcement of shareholder rights, the challenge of shareholder resolutions, before the German courts. Represented a German supplier of building materials in statutory adjudication against an UK employer under the Housing Grants, Construction and Regeneration Act 1996. Advised an Austrian investor on claims against a major German bank linked to the purchase of securities issued by a U.S. defense contractor. Acted as Sole Arbitrator in a DIA case between a Danish manufacturer and a Dutch distributor in the cosmetic industry, center on IP issues, with Danish Law as governing law and Copenhagen as place of the arbitration. Acted as co-arbitrator in a DIS arbitration under the DIS Supplementary Rules for Corporate Law Disputes between several shareholders on shareholders’ rights and the divestment of the shares in the company. Acted as co-arbitrator in a London-seated DIS arbitration between a Jersey SPV and a Russian investor regarding a finance agreement, with partially English Law and partially German Law applicable. Acted as Sole Arbitrator in a DIAC construction arbitration between Qatari and Spanish construction companies, with Qatari Law as the governing law and Dubai as the place of the arbitration. Acted as co-arbitrator in an ICC arbitration between a German supplier and a Polish purchaser, with German Law as the governing law and Berlin as the place of the arbitration. Dr. Bodenheimer began his career with Hogan Lovells. Before founding BODENHEIMER HERZBERG, he was a partner in a medium-sized law firm in Cologne. Dr. Bodenheimer holds a doctoral degree from the Saarland University (Germany). 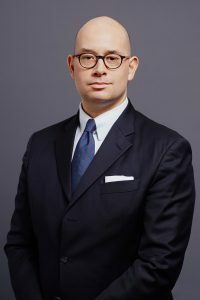 He studied at the universities of Göttingen (Germany) as well as of the Catholic University of Leuven (Belgium) and Bonn (Germany), and holds a master’s degree in mediation from the Europa-Universität Viadrina Frankfurt (Oder) (Germany).